As Off-The-Shelf Hackers we use tools to work on our projects. Even unconventional ones, such as the ones we use to make sense of tragedy. Things happen in the world that disrupts your train of thought. Such was the case with the recent terrorist attack at the Pulse Nightclub in Orlando. The New Stack crew was tremendously saddened by the news, and it has certainly been a tough time across America. We occasionally need to use unconventional tools to overcome unconventional challenges. 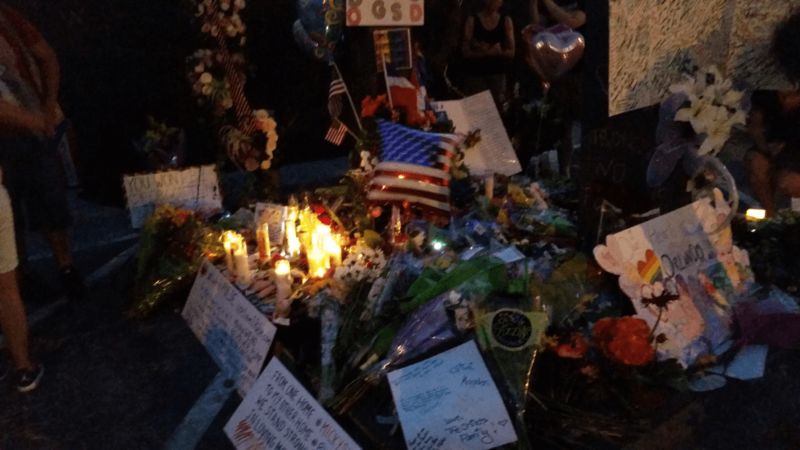 Flowers and little tributes to the fallen and injured have popped up all over Orange Avenue and around Pulse. There were block-long lines to donate blood. The Doctor Phillips Center For Performing Arts became the focal point of the community to comfort each other and remember once-vibrant lives and personalities. I abstract those into great “tools” helping people deal with unconventional challenges. 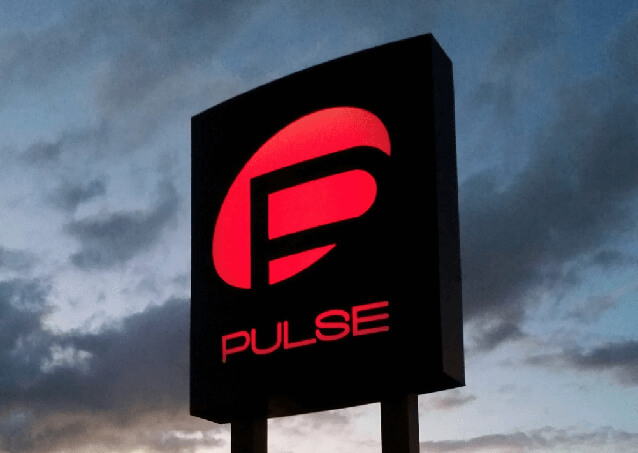 I’m a resident of Orlando, and on Monday night, I walked over to Pulse, and it was downright eerie. The normally busy Orange Avenue was deserted, save for a few State Trooper cars and several soon-to-depart satellite trucks. A few days earlier, those news trucks were wall-to-wall, along with all the big names in media. It’s a little weird, to see something like this, so close to home. With such a jarring situation, how can Off-The-Shelf Hackers regain their focus and try to get back to business? Geeks, nerds, and techies have an edge. Novelty, deep tech stuff, and faith in the future, easily grab our attention. Abstracting unconventional tools to help things get better is our nature. One tool I use to keep perspective and projects moving forward in the face of adversity is to stay up-to-date with the latest gadgets. I may not have any immediate need for a cutting-edge device, or maybe I do. It’s hard to know what my little brain will put together, be it some existing technology and a bleeding-edge part, then morph it into some new project. A great example is the ESP8285 WiFi module. It’s an ESP8266 with flash memory onboard the chip. Not only that, it’s about 3/8” square. A device that small might work in one of my conference presentation clickers. Perhaps it would be a wrist-mounted gadget that changes slides when I simply touch two fingers together. Another tool to deal with adversity is to stay fascinated by what’s around you. While sitting at the Chevy dealer waiting for my free oil change early this week, I overheard the service guy talking to a lady about her bad electronic steering unit. He went on for a while explaining that the part aided in keeping the car stable and hinted that it was certainly necessary… sadly to the tune of about $1000. Naturally, she was worried that the non-working module would compromise her safety. Of course, you knew I was sitting there, taking all this in with a generous helping of skepticism. Out came my Galaxy 5S Active superphone to find out about electric power steering. I pulled up an article about the current technology with an interesting mention of what Honda is doing. It turns out that electric steering is not entirely “fly-by-wire,” as we might expect. Rather, it’s electrically-assisted power steering. The solid mechanical connection between the road and the driver are still there, just that an electric motor adds in torque to turn the wheels left or right. It’s nothing more than a little electric motor belted to the rack unit and a motor controller. It’s similar in operation to the conventional hydraulic power steering. We use the electric versions to power robot wheels connected to microcontrollers. It turned out that the hapless Chevy customer needed the control/sensor unit (attached to the steering column) replaced, not the rack/pinion/electric-assist motor unit. You knew there had to be sensors somewhere. What’s cool about the Honda system is that by augmenting the normal steering mechanism with an electric motor assist, they tailor the response to driver inputs. Honda uses a bunch of sensors to record accelerations, tire slip, turning effort and so on, to evaluate a driver’s abilities, then adjust control of the motor assist accordingly. In other words, the steering response is adjusted and customized, to the driver and conditions. Analyzing all that data gives some sense of who’s a good or a bad driver. Good or skillful drivers get less intervention over their steering inputs, whereas poor driver’s inputs are corrected or possibly even prevented by the system. The point to all this is that I had no idea how far we’d come with electric steering. Never really thought about how it worked, either. More importantly, I might now be able to use “augmented” electric motor concepts to solve new physical computing project challenges. Being nosy and staying fascinated gave me some new ideas. Why do geeks love to wander around in Fry’s Electronics, the Home Depot, a surplus parts store or the local auto boneyard? When we walk around looking at all the shiny tools, electronic parts, lumber, RC airplane kits, sprinkler valves and used turbo-Diesel engines, we think about possibilities. We dream about all the cool things we’ll build someday. Possibilities are a huge driving force for new projects. Could I use this part with that microcontroller? Can I bolt this doodad to a what-not and make it move autonomously? Will the Pixy board fit into a copper lightning ball from the antique hardware warehouse? I even go to places like Hobby Lobby and Sam Flax. The first one has a great selection of pre-finished wooden boxes that are perfect starter material for some of my Raspberry Pi or Arduino Steampunk craziness. The second has aesthetic supplies to help my projects look better. By walking around traditionally “creative” places, like a DIY or art store, you’ll get in the habit of thinking of possibilities. Has my little techno-literary diversion helped you ease back into the swing of hacking, inventing, and prototyping? I hope so. A lot of things are out of our control, affecting our moods and focus. It’s heartbreaking when Americans were killed and more were injured from the heinous attack in Orlando. We try to pay our respects and remember all the good stuff. But we must continue into the future. Tools, even unconventional ones, help us do that.